Make your own sock monkey! No matter whether you’re into sewing or not – everything is super easy. Doesn’t matter whether you’re a talented sewer or bloody beginner. 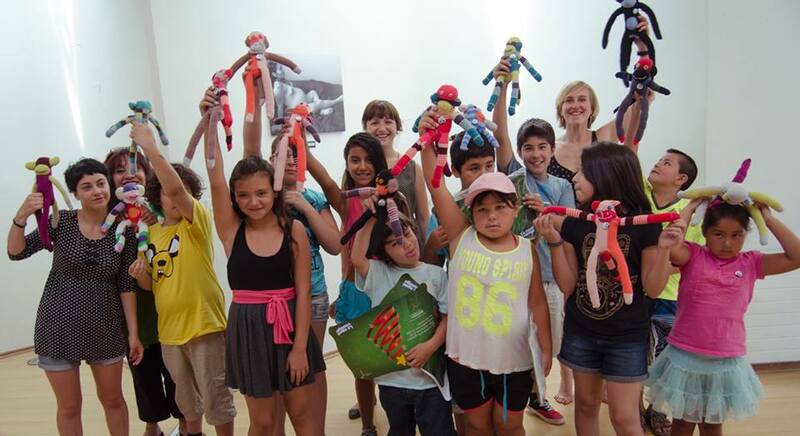 With our guidance, everybody’s able to create adorable sock monkeys. It’s fun, it’s creative and it’s a wonderful way to make a heartfelt gift. 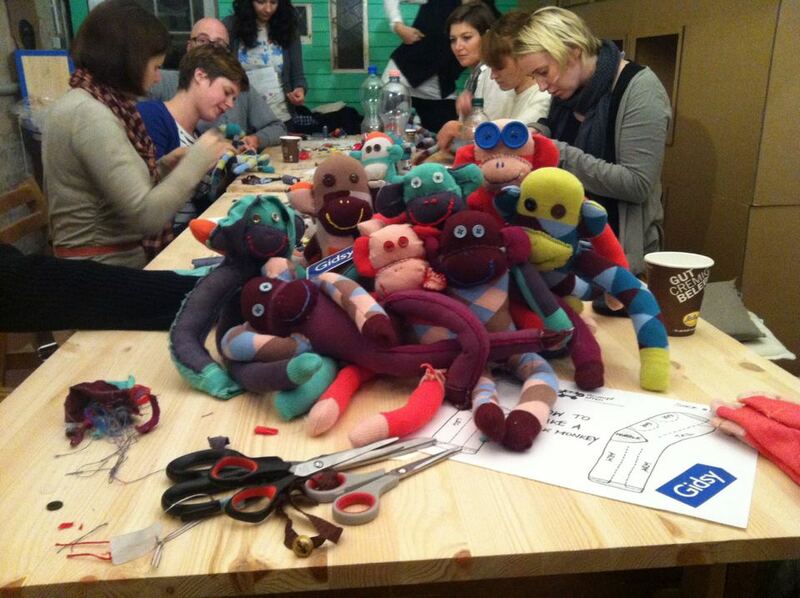 Together we’re making and selling sock monkeys to change the world for the better and we’d love to teach you how to make them. Once you’ll have attended our workshop you gonna be the proud creator of your own monkey. Decide, whether you gonna keep it (we bet you’ll fall in love), give them to a loved one, or donate it for supporting our partner Tara for Children e.V. in India. We look forward to meeting you and tell you all about our idea. We gonna make the monkeys with fancy fair trade socks from Minga Berlin. We recommend bringing something to drink/eat, because the workshop takes 3-4 hours. Except this, you don’t need to bring anything. We provide all the materials. THE NEXT WORKSHOP IS ON 20th FEBRUARY IN BERLIN-NEUKOELLN: Get your ticket here! If you’re interested in making you own monkey, but can’t make it to one of our workshops, you can order a DIY set via this website or an email to hallo@strumpfaffen.org OR if you’re a small group (5-20 people) we can organize our private sock monkey workshop (Christmas party, birthdays, work event, any occasion …).